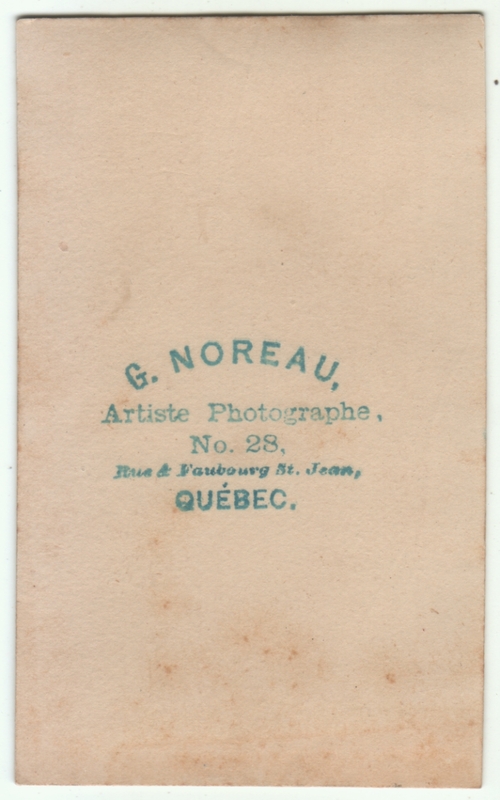 Photographer is G. Noreau of Quebec City, Quebec. Otherwise undated and unidentified. It’s easy to ignore confusing details in my collection, but my blog is forcing me to pay closer attention and figure things out. In this case, my confusion lies with the address. 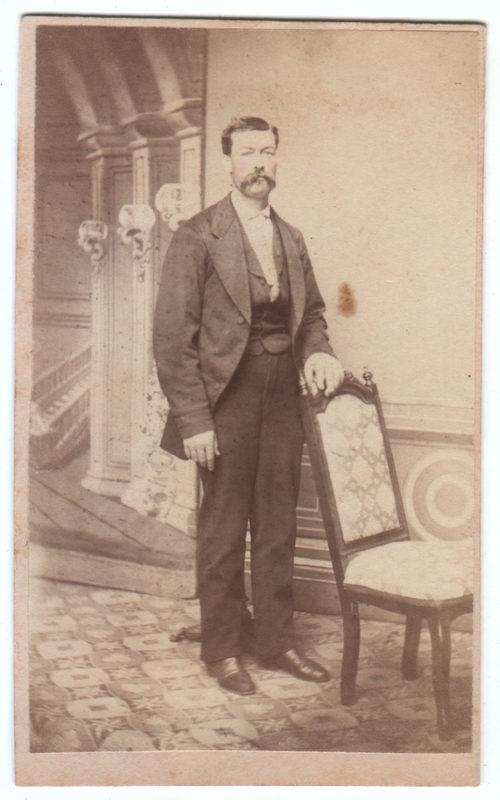 Click here to view the address on the back of the photo. (Now that I’ve figured out how to link like that, I really should add pictures of the backs of photos more often, since they are sometimes quite interesting.) What is that thing between the words “Rue” and “Faubourg”? To my eyes it looks like an ampersand (“&”), and other examples of this photographer’s work online have been interpreted that way, but to me that doesn’t make sense. “Quebec” would be Quebec City, the capital of the Canadian province of Quebec. “Faubourg St. Jean” is apparently a district or neighborhood in Quebec City. It makes sense to me that there would be a street with the name of the district, but an ampersand? Perhaps it’s actually some old stylized version of “de” or “du” or something, making the address “28 Faubourg St. John Street”, instead of “28 Faubourg St. John and Street”. That said, I can find no current Rue de (or du) Faubourg St. Jean in Queubec. Alas, French isn’t one of the languages I’ve studied. Can any of my readers shed some light on this for me before I waste another evening in fruitless internet searches? (This may turn out to be an embarrassingly obvious answer, but goodness knows I’ve asked stupid questions on this blog before.) Meanwhile, there’s the photo itself. I have to say, with the poorly arranged backdrop, the exposed posing stand, the ill-fitting vest, and the generally frumpy way that guy is standing there, it’s not the most impressive image. But sometimes, the less polished they are, the more revealing they ultimately are. I think that’s the case here, and that’s why I like it. Thanks! I actually saw that address in my searches, I just wasn’t sure it was the same place. I’d have to look at it with a magnifying glass, but I think the “ampersand” could be “de.” I guess the translation might be Faubourg’s Saint-Jean Street. Even with a magnifying glass, and enlarging the scan, I was still having a hard time making it out. Who even creates symbols that tiny? But I was thinking it might be a stylized “de”, so thanks for the validation.